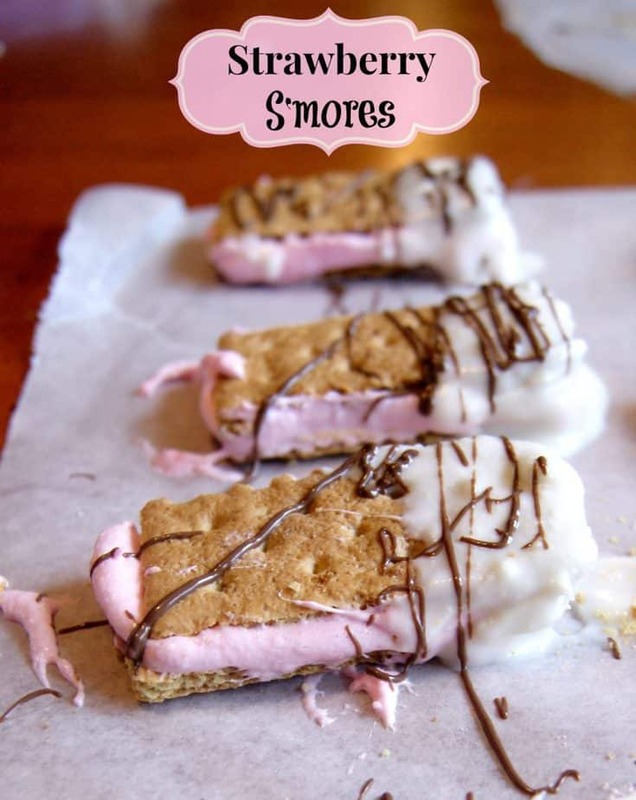 Delicious ooey, gooey traditional s’mores that are a crowd pleaser with a Valentine’s twist- Strawberry marshmallows, a white chocolate dip, and milk chocolate drizzle. A Half dozen or so of these strawberry s’mores would make a sweet Valentine tucked inside a cellophane bag and topped with a pink or red ribbon. They go pretty quick so you will want to make up an entire box (or two). Wrap individual ones in saran wrap for a tasty little treat for classmates. You could change up the chocolate a bit and use any combination chocolate to make- milk, dark, semi sweet, or white. Spread out waxed paper for your s’mores to set up on. Break graham crackers down into smallest rectangle section. Place a piece of marshmallow and place in microwave for NO MORE than 3-4 seconds. 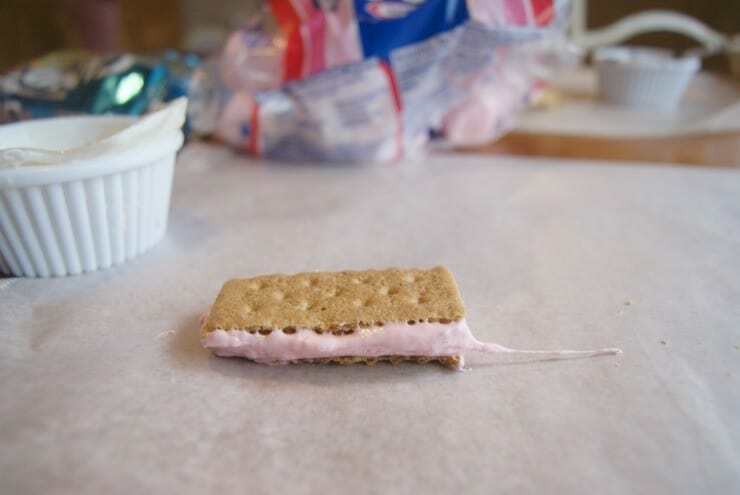 Use the backside of a spoon or butter knife to spread your marshmallow on a graham cracker. 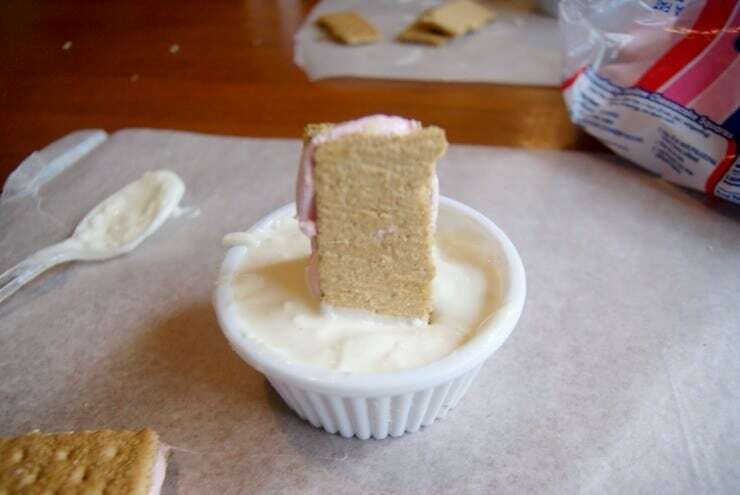 Place another graham cracker on top. Melt white chocolate in a double broiler or in a heat safe dish in microwave for 15 seconds at a time. 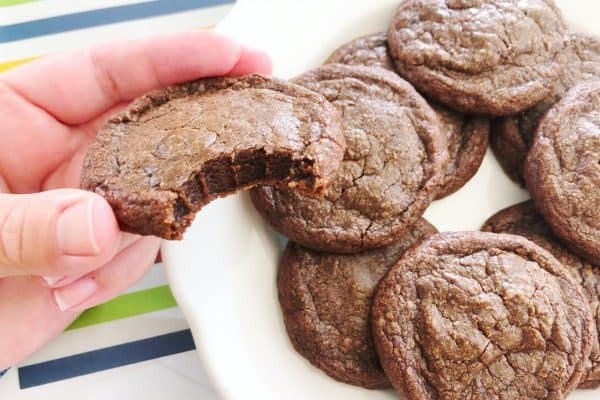 Do the same with a small amount of milk chocolate. Dip one end of your s’more into white chocolate, tap off excess, lay on waxed paper. Use a spoon to dip into milk chocolate, drizzle over s’mores by waving it back and forth gently. What are your favorite kind of s’mores? 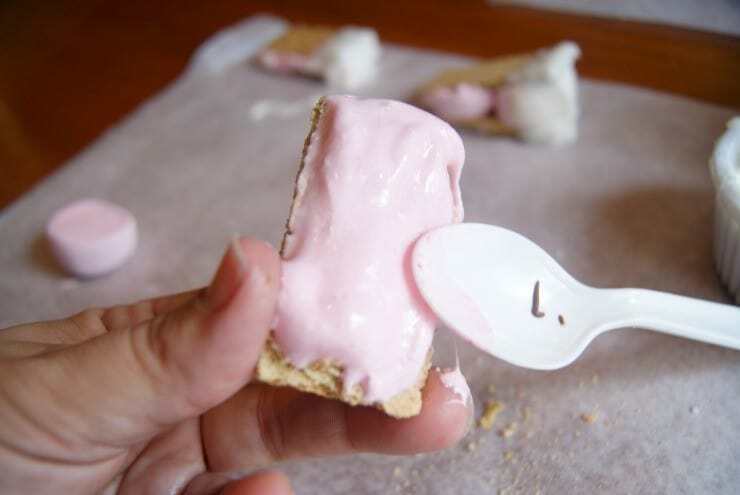 Use the backside of a spoon or butter knife to spread your marshmallow. 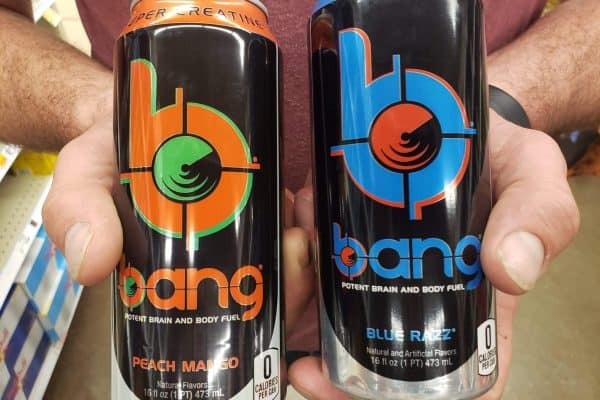 What a neat twist on a classic. 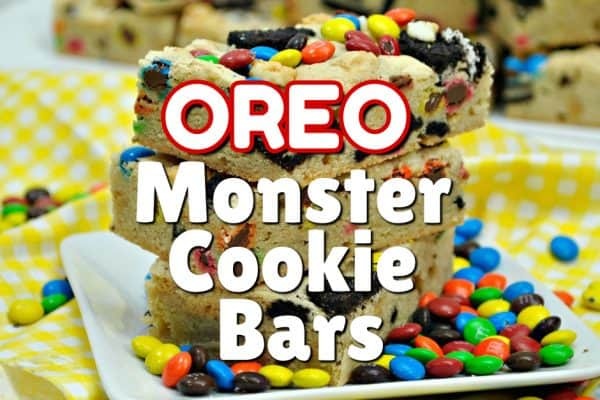 I betcha my boys would love these!! Another great recipe. Who doesn’t love s’mores? I did not know that there were strawberry marshmallows, it looks delicious, thank you for sharing this recipe.